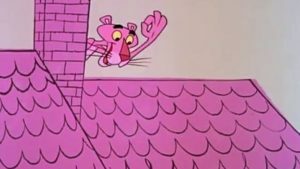 Finding immediate fame in the opening title sequence of Blake Edwards’ 1964 classic comedy The Pink Panther, the feline embodiment of the Swinging Sixties cool quickly become the star of his own animated shorts produced by the DePatie-Frelend Studio. And they’re hear to enjoy in The Pink Panther Cartoon Collection, Vol. 1. 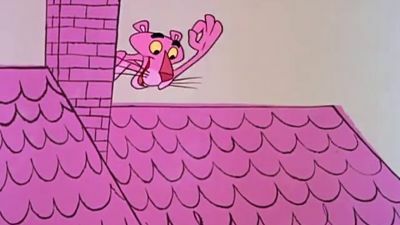 Unlike the loud and manic characters of other animation studios, the Pink Panther was lithe and easygoing, and moved to the rhythm of jazzy theme music of the great Henry Mancini (Breakfast at Tiffany’s). Usually thwarting the plans of a variety of uptight “little men”, the hep cat’s fresh approach to cartoon comedy earned an Academy Award for his first solo effort: “The Pink Phink” (Best Animated Short Film, 1964) and remains the era’s most iconic animation sensation. Featuring the voices of Larry Storch, Rich Little and Mel Blanc, this collection of 20 classic cartoons is remastered in HD and features the original audio without laugh-tracks which were added to the television versions of the short films. Included are audio commentaries for selected films by author Mark Arnold, historian Jerry Beck, filmmaker Greg Ford, cartoon writer William Hohauser and veteran DePatie-Freleng storyman Bob Kurtz. Interspersed throughout are archival sound-bites from animation pioneer and DePatie-Freleng Enterprises co-founder Friz Freleng, himself. Thanks for alerting us to these fun collections and providing entertaining and historical context Laurence! I used to love this cartoon!